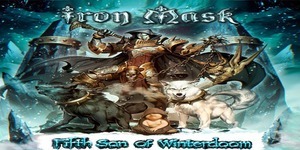 As its name would indicate, Fifth Son Of Winterdoom is the fifth full length release from Dushan Petrossi’s neoclassical power metal project Iron Mask, and while it bears some similarities to previous albums, it has its own very distinct feel which is instantly noticeable. Though in truth, the same could be said for any Iron Mask album, as Dushan Petrossi has a distinct guitar sound on all his albums, but at the same time he does experiment with new things on each album, so where the second album Hordes Of The Brave focused on epic power metal choruses alongside some spectacular neo-classical guitar wizardry, this album is decidedly more laid back and has much more of a hard rock flavor to most of the songs, and where the previous album Black As Death had a much darker tone than usual, this album is much lighter and more fun once again. While I prefer the two aforementioned albums, I do think Fifth Son Of Winterdoom is yet another strong album and I think it could serve as a great introduction for fans of traditional heavy metal and hard rock. For me personally, this album is a real grower. On first listen I was very disappointed by the lack of speed, the lack of overwhelming neo-classical guitar showcases, and even the lack of epic choruses compared to other Iron Mask albums. In fact, I was ready to write it off as possibly being my biggest disappointment of the year after one listen, so at least for me it serves as an example of how important it is to give an album enough time to fully sink in, because after five listens I like it a lot more than I did initially. It’s unlike any other Iron Mask album, in that it doesn’t try to blow you away instantly, but instead slowly draws you in and impresses you more and more as you get deeper into it. So while I initially missed the speedy power metal songs and neo-classical elements, over time I realized those elements can still be found, they just aren’t as immediately obvious anymore. With that being said, Dushan’s guitar work is still as amazing as always, and his typical guitar wizardry still shines through on tracks like “Back Into Mystery”, “Like A Lion In A Cage” and “The Picture Of Dorian Grey”, but with each album he’s learned to tone it down more and more, so on this album especially the neo-classical elements are very subtle and don’t feel forced or overwhelming at all. 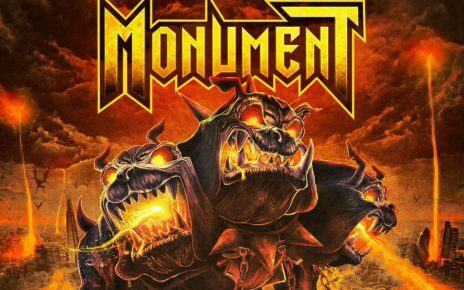 Much more prominent this time are the hard rock elements and even some Iron Maiden influence on a few songs. It’s still a very melodic album as always, but the riffs are heavier and generally stand out more than on previous albums. On the previous album Mark Boals sang most of the songs, and now he is an official member of the band, which is a good move for them because he sounds awesome as always. He has a unique tone that works especially well on the hard rock influenced heavy metal songs, and on the excellent ballad “Father Farewell”, though he can also deliver on the more epic songs like the title track and “Eagle Of Fire”. The album begins with “Back Into Mystery”, which is the perfect way to start the album as all the new elements are introduced immediately and Mark Boals sounds fantastic, while the chorus retains the epic feel of early Iron Mask albums, and the guitar work is amazing as always. Unfortunately, the second track “Like A Lion In A Cage” doesn’t work quite so well, as it feels like a hybrid of their classic power metal sound and this new hard rock flavored heavy metal sound, and while the verses are fun the chorus has a very hard rock feel to it that just doesn’t work for this kind of speedy power metal, and so the neo-classical guitar work ends up having to save it from being a complete a failure. On the whole, though, the hard rock and heavy metal elements blend together successfully, and because even most of the other power metal songs are mid-tempo and more laid back compared to normal, the hard rock elements usually fit in fine, with “Eagle Of Fire” being especially good. But the best song here is easily the epic 10 minute title track. 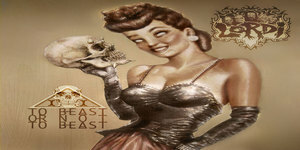 Both the name and the overall structure of the song bear some obvious similarities to Iron Maiden’s Seven Son Of A Seventh Son, complete with a long calm section in the middle. Overall, though, it has enough of its own sound to stand out and the chorus is by far the highlight of this album. Other highlights include the very simple and fun heavy metal track “Angel Eyes Demon Soul”, “Seven Samurai”, which is a successful blend of riff driven heavy metal and epic power metal, and the excellent closing track “The Picture Of Dorian Grey”. The only song I outright dislike is “Rock Religion”, even though it’s actually very solid musically. My problem is with the lyrics, which are extremely immature and also feel like stereotypical dumb metal/hard rock lyrics, which is exactly what I don’t want to hear anymore of. Overall, Fifth Son Of Winterdoom is a solid album which retains some of Iron Mask’s classic sound while also introducing elements which should make it a great starting point for fans of hard rock and traditional heavy metal. Power metal fans will likely agree with me that this isn’t their best effort, but I still think there’s enough here for existing fans to enjoy. Either way, I won’t deny that for anyone who gives it a fair chance, it is a great album.